Benjamin Netanyahu visits the Golan Heights. The ski slopes on Mount Hermon in the Golan Heights open for a brief period every winter. On January 20, an Israeli enjoying an afternoon ski was shocked to see a rocket launched by an Iron Dome air defense battery. It was one of two that streaked across the sky aimed at stopping an Iranian surface-to-surface missile fired from Syria at Israel. The recent flare-up in Israeli-Iranian tensions in Syria comes amid the planned U.S. withdrawal and the winding down of the war on ISIS. It threatens to spark a new conflict. On January 23, Russia warned Israel again about airstrikes in Syria. Yet Jerusalem insists, with Washington's backing, that it can reduce Iran's presence in Syria as well as degrade Iran's weapons transfers to Hezbollah. The rare daylight airstrikes in Syria on January 20, the Iranian retaliation, and the second round of airstrikes that took place overnight the next day were some of the most serious and public clashes between Israeli and Iranian forces in Syria since the start of the Syrian Civil War. They were also predictable. Israeli prime minister Benjamin Netanyahu said in December 2017 that Jerusalem would not permit Tehran to " entrench" itself in Syria and benefit from the Syrian conflict by setting up infrastructure and bases. Israel has been increasingly warning that Iran must "get out" of Syria quickly. In February 2018 Israel struck Iranian targets after a drone entered Israeli airspace and in May 2018 Israel launched widespread airstrikes in response to a rocket salvo from Syria fired by Iran. Some of the strikes in the past year have reached deep into Syria, on the road to Palmyra, near Homs and in Latakia province. It was a September Israeli airstrike in Latakia targeting a warehouse that led to the mistaken downing of a Russian Il-20 by Syrian air defense. This caused Russia to warn Israel, after frequently remaining mum on this shadow conflict. Russia is the main backer of Syria's Bashar al-Assad regime, but it does not see its role in Syria as defending Iran's interests. Russia sent Syria the S-300 air defense system in the wake of the downing of the Il-20. Russia warned Israeli " hot heads " to be wary of their next moves. Israel has increasingly telegraphed its policy and revealed the extent of the war it is waging in Syria to stop Iran. In the fall of 2017, Israel said it had only struck one hundred targets in Syria during the Syrian conflict. By 2018 that number had increased to two hundred Iranian targets in a year and a half. Former Chief of Staff Gadi Eisenkot then expanded that number to thousands of strikes and two thousand bombs dropped in 2018 alone, claiming there were near daily strikes in an interview with the New York Times . As Israel divulges the extent of its airstrikes in Syria a new picture is painted of a war that was largely fought in the shadows over the last years. During the Syrian Civil War the conflict between Israel and Iran, initially designed to interdict Iranian shipments of weapons via Syria to Hezbollah, was so low-scale that it was dwarfed by the larger conflict between the Syrian regime and the rebels, and then between the U.S.-led international coalition and the Islamic State. For instance, in the first two years of the coalition's war there were 14,000 airstrikes on ISIS. Now the Syrian Civil War has mostly ended with the Turkish-Russia agreement on Idlib keeping a ceasefire intact. The war on ISIS is also winding down in the Euphrates valley as the last remnants of ISIS are defeated near Hajin. It is not a coincidence that the end of the Syrian conflict has dovetailed with the rise in the Israel-Iran confrontation in Syria. During the Syrian Civil War Iran initially focused on supporting the Syrian regime, recruiting militias and advising the regime through the Islamic Revolutionary Guard Corps units Tehran sent to Syria. Iran has also constructedbases, stocked warehouses and laid down infrastructure. Last year the United States said that Iranian-commanded forces should leave Syria. But Iran seeks to benefit from the Syrian conflict by increasing or at least maintaining its presence there, using Syrian air defense for protection. The Iranian presence in Syria is only one part of a larger network of Iranian allies in Iraq and Syria. For instance, Moein al-Kazemi, a commander in the mostly Shia Hashd al-Shaabi (Popular Mobilization Units, PMU) threatened on January 21 that conflict between Iran and Syria could spill over to include Hezbollah in Lebanon and pro-Iranian Shia militias in Iraq. Qais Khazali, leader of the Asaib Ahl al-Haq militia, a member of the PMU and former U.S. detainee at Camp Cropper in Iraq, visited Lebanon in December 2017. He peered down on Israel from the Lebanese border in a symbolic gesture to show how pro-Iranian groups from Iraq and Lebanon see the conflict with Israel as a regional one not confined to individual states. This arc of Iranian influence has been termed a " road to the sea " or corridor across Iraq and Syria. In June 2018, reports indicated Israel struck Kata'ib Hezbollah, another Iraqi Shia militia that has a base in Syria. As the conflict in Syria comes out of the shadows Israel has been more open about its strikes. The Israeli Defense Forces (IDF issued a press release and map on January 21 saying that the IDF carried out air strikes as "part of the IDF's attack targeting Iranian Quds military sites in Syria." Israel also said that "despite clear warnings to avoid such fire," the Syrians had used their air defense to defend the Iranians and the IDF had struck the air defense batteries, including a Russian-made Pantsir system. The strikes resulted in Syria warnings of retaliation and Russian concerns about the " arbitrary" strikes. Despite all the airstrikes the overall number of casualties among Syrians and Iranians in Syria remains low. The level of damage to Iran's infrastructure in Syria is also unclear. Israel has refrained from destructive air raids that might harm dual-use infrastructure such as the Damascus international airport. Instead, it has focused on precision strikes, hitting radars, warehouses, and other sites. The high-level accuracy of Israeli munitions means that in many cases images show destruction to be relatively limited. Warehouses and military camps can be rebuilt. The number of Iranians killed has been relatively low,with a dozen IRGC personnel reported killed in the recent strikes. Jerusalem appears to face an uphill battle in removing Iran from Syria or motivating Iran to reduce its forces through pinpoint strikes. Russia, Turkey and Iran, through frequent meetings in Astana, Sochi, Geneva and elsewhere have sought to end the Syrian conflict . This comes as the United States says it is withdrawing, which means Washington appears to have abandoned its role in confronting Iran in Syria. Nevertheless, National Security Advisor John Bolton, Secretary of State Mike Pompeo and other administration officials have supported Israel's role in confronting Iran in Syria and indicated in early January that support will continue. The message to Jerusalem from Washington is that it has a free hand in Syria. But this free hand is an uphill battle. Several Gulf states, including Bahrain and the UAE signaled that they are returning diplomats to Damascus and Syria looks set to return to the Arab League after its suspension during the early days of 2011. This indicates that stability may return to Syria and normalization will occur between it and countries that had opposed the Assad regime. 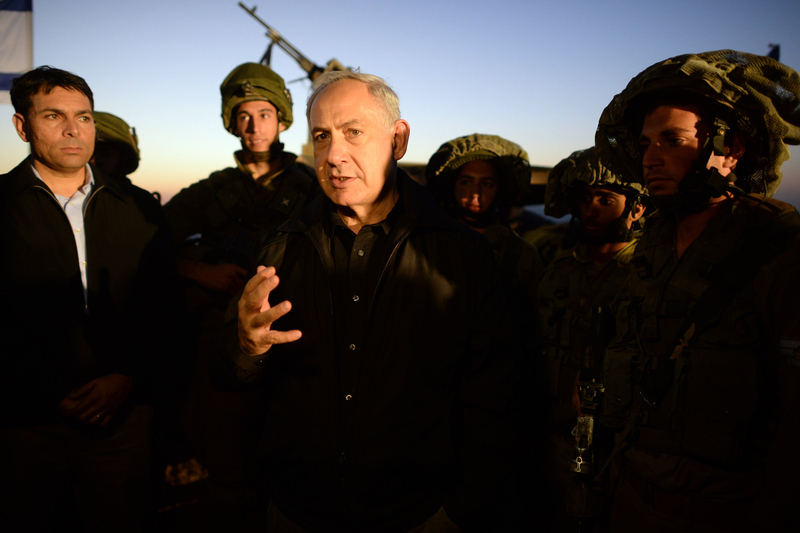 The more stability returns the more scrutiny Israeli strikes will come under. Iran appears to feel that it has come out of the last half-decade of conflict in the region not only unscathed but with greater influence than before. Foreign Minister Javad Zarif regularly boasts of U.S. isolation. It does not appear intimidated by the airstrikes, whether they numbered in the dozens as they did during the first years of the Syrian Civil War, or in the hundreds and thousands, as in the last year. This makes Israel's decision to be more public about its strikes a complex gamble. The more public it is and the more it sets a goal of Iranian withdrawal from Syria the more there will be questions about how it will accomplish that bar. An open-ended goal could indicate a long-term conflict in Syria, but with the S-300 likely to be operational eventually, Russia increasing its rhetoric, and Syria discussing retaliation a new conflict could spiral out of control. That conflict will likely involve Hezbollah, pro-Iranian forces in Iraq, and perhaps even Gaza.